MENA equities closed Thursday’s session on mixed notes while oil prices advanced slightly on Thursday after the U.S. sanction on Iran has kicked in. Bahraini shares were trading higher on Thursday where primary Bahraini index BAX gained 0.26 percent or 3.547 points to end the session in the green at 1,349.058 supported by the gains in Basic Materials, Financials and Industrials sectors. However, Qatari stocks dropped on Thursday, where QSI declined by 0.75 percent or 74.69 points to close lower at 9,886.86 as the losses in all sectors pressured the prices down except for Consumer Non-Cyclicals that advanced 0.25 percent. Vodafone Qatar QSC was the biggest gainer on the index as its share added 0.43 percent to settle at 9.26 followed by Al Meera Consumer Goods Co QSC after its stock added 0.25 percent to close up at 159. On the flip side, Industries Qatar QSC was the biggest loser on the index after its share dropped by 2.37 percent while Ooredoo QPSC fell by 2.04 percent. 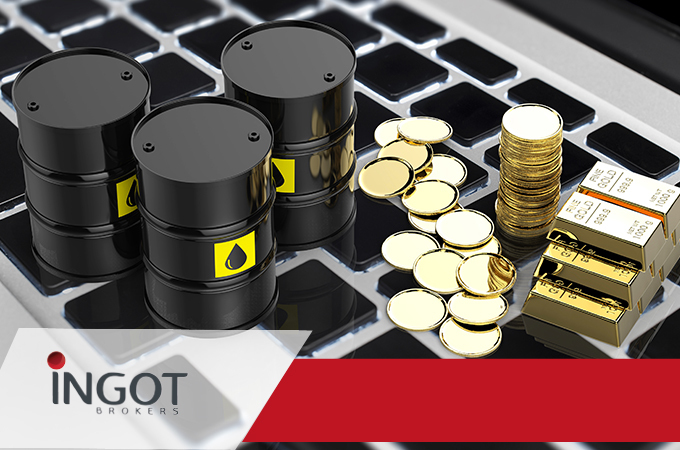 Oil prices faced some gains on Thursday but still did not recover from the news that China imposed 25% tariffs on U.S. goods including cars and crude oil where the U.S crude oil prices advanced to trade at 66.95 USD per barrel. Saudi stocks closed in the red for the second session in a row, where TASI dropped by 0.42 percent or 34.11 points to end the session down at 8,176.18 pressured by the losses in most of the sectors especially Utilities, Healthcare and Energy sectors. On the other hand, Middle East Healthcare Co CJSC was the worst performer after its share declined by 10 percent, while Saudi Marketing Company SJSC was the second-worst performer where its share decreased by 7.32 percent. UAE shares closed the session in the red. Abu Dhabi shares closed the session down as ADI dropped by 1.09 percent or 53.58 points to close the session in the red at 4,872.03 pressured by the losses in Financials, Telecoms and Consumer Cyclicals industries. National Bank of Umm Al Qaiwain PSC was the top performer as its share added 12.70 percent followed by Abu Dhabi National for Building Materials Co PJSC, which gained 9.80 percent. Furthermore, Dubai shares closed the session down, where DFMGI fell by 0.97 percent or 28.54 points to end the session at 2,920.11 pressured by the losses in Consumer Cyclicals, Financials, and Industrials shares. Ajman Bank PJSC was the biggest gainer after its stock advanced by 3.17 percent, while Drake and Scull International PJSC was the biggest loser for the second session in a row as its share dropped by 9.93 percent. Egyptian stocks rose on Thursday where EGX30 gained 0.39 percent or 61.20 points to end the session higher at 15,924.06 as the gains in Telecoms, Consumer Cyclicals and Consumer Non-Cyclicals pushed the stocks up. Porto Group Holding SAE was the top performer as its stock advanced by 4.55 percent, while Edita Food Industries SAE was the biggest loser as its share fell sharply by 9.18 percent. The Greenback advanced versus most major currencies supported by a strong US economy.